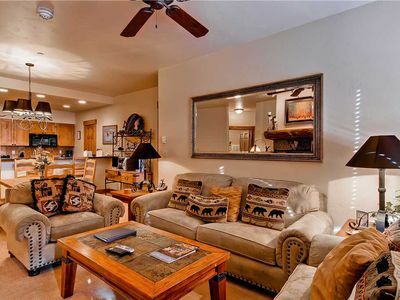 Beautiful Mountain Condo, Great Location, Onsite Heated Pool & Hot Tub! 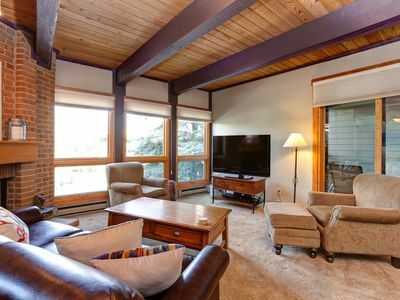 This beautiful 4 bedroom newly renovated condominium offers the perfect place to relax and unwind after a day on the slopes or out in the summer mountain air. 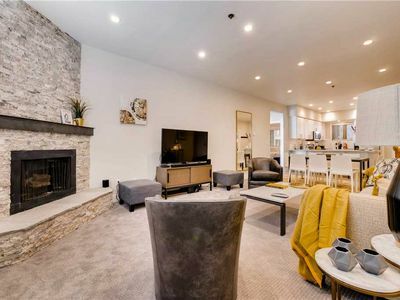 This unit features a fully equipped modern kitchen including stainless steel and top of the line appliances, a breakfast bar with seating for four people, a dining area with large dining table able to seat 8 comfortably and brand new bathrooms with heated floors. 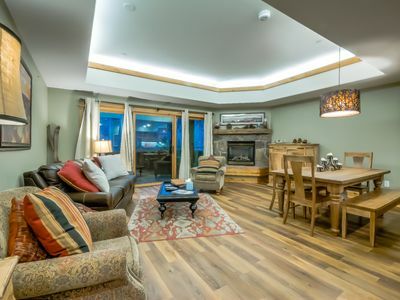 The living area offers a cozy gas fireplace and beautiful furnishings to gather around and talk about your long day of Steamboat adventures. 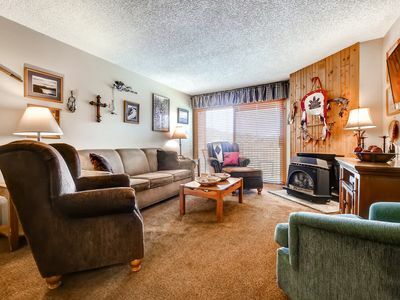 For entertainment this condo has 5 Flat Screen TVs, a DVD player, free Wi-Fi and a stereo for your enjoyment. 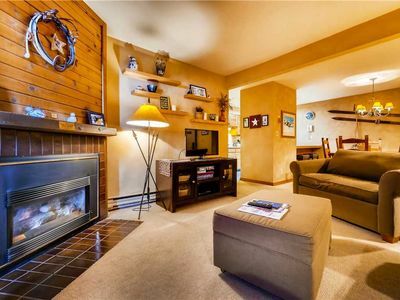 The Master Bedroom features a King bed, Flat Screen TV and attached bathroom. 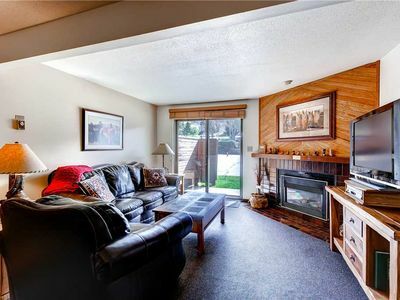 There is a Queen bed in the second bedroom also with a Flat Screen TV and attached bathroom. 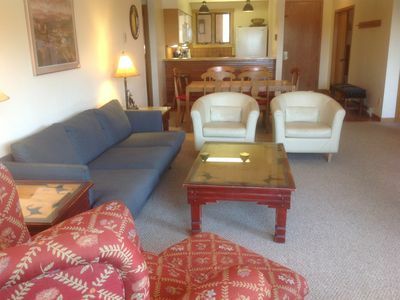 The third and fourth bedrooms each contain two twin beds, Flat Screen TV’s and they share a bathroom. 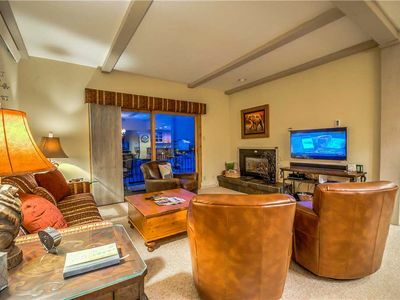 Property amenities include an outdoor pool, over-sized outdoor hot tub, meeting room facilities, complimentary business center, morning coffee in the lobby, complimentary Internet access, easy access to the free city bus route, common area coin operated laundry facilities, elevators, complimentary garage parking, a large brick fireplace, a BBQ pit and large fire pit area with seating and plenty of space to relax after a long day of adventures in Steamboat. 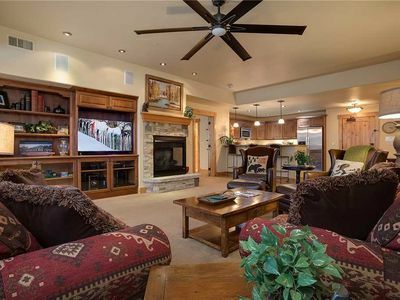 CC315 by Mountain Resorts: Offering great valley views ~ Pool, Hot tub, fitness center! 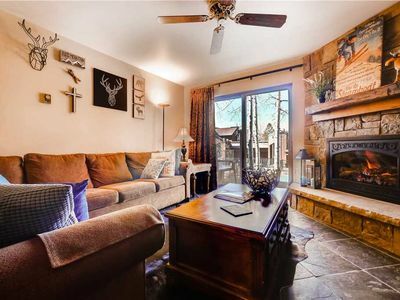 Charming Condo w/Cozy Fireplace & Private Patio! 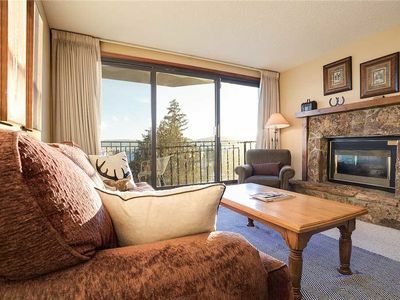 Spacious Slopeside Condo w/Base and Mountain Views! 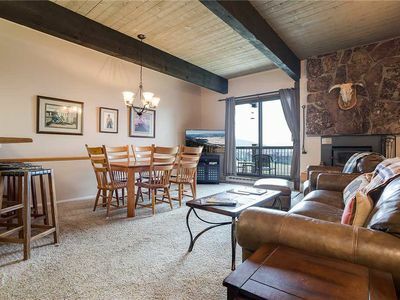 Beautiful Mountain Condo w/Rock Fireplace & Private Balcony! 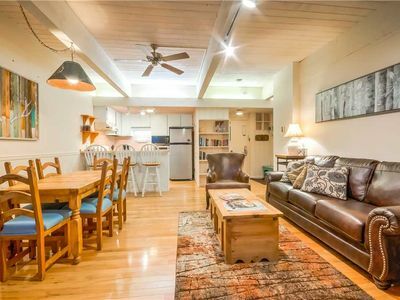 Cozy Condo w/Onsite Pool, Hot Tubs & Grill Area! 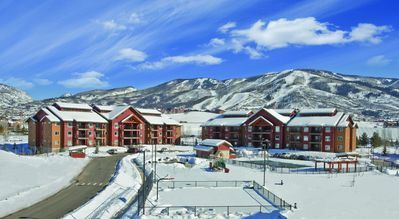 Spacious Summer Condo - Great views of Steamboat Resort, garage parking, hot tubs! 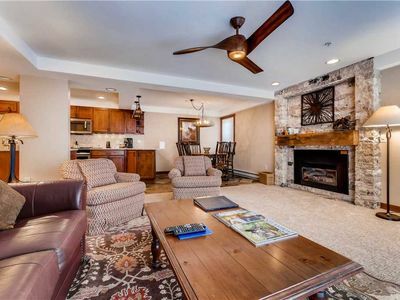 Fantastic Summer Rates - Completely Remodeled Condo w/ Great Steamboat Location! 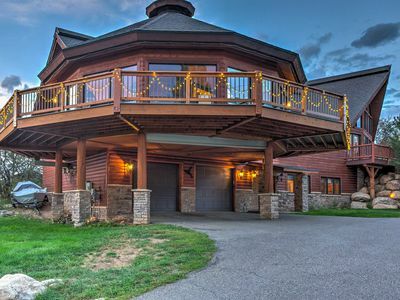 Fantastic Summer Rates - Hot Tub And Patio Overlooking Resort! 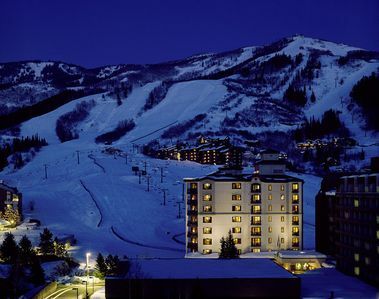 Located Steps Away From The Steamboat Ski Area And Loaded w/Amenities! 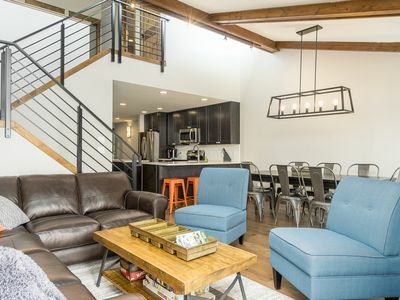 Newly Remodeled Promontory 6 by Skyrun! 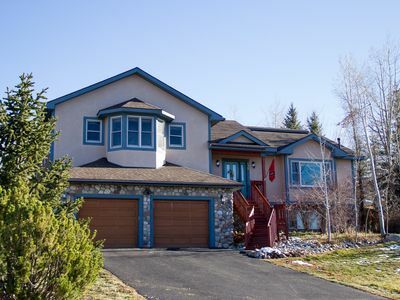 Pool and Hot Tub! Walk to Gondola! Discounted Activities!